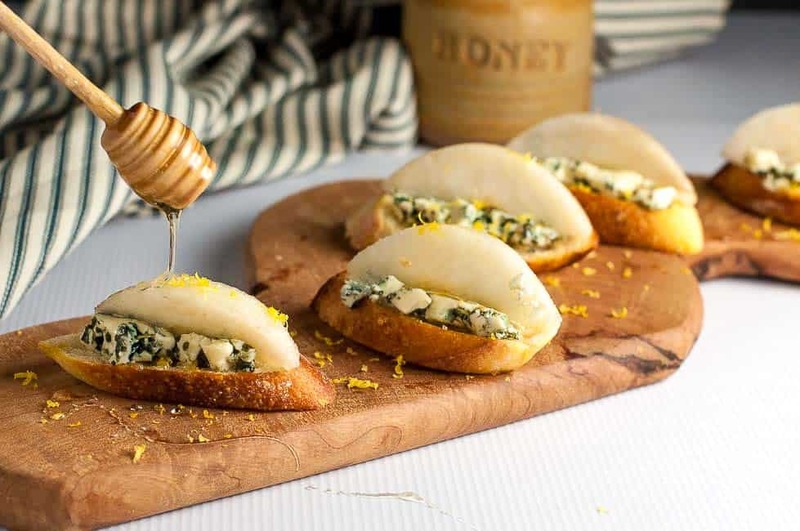 Top thin slices of toasted baguette with blue cheese, a slice of crisp pear, a sprinkle of lemon zest and a drizzle of honey to make these tasty Blue Cheese Crostini appetizers. 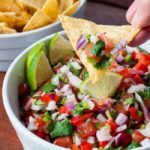 When I’m having an appetizer or tapa party, I like to serve lots of choices. Ever since traveling in Spain and bar-hopping from one tapa bar to the next, serving small bites has been my favourite way to entertain. 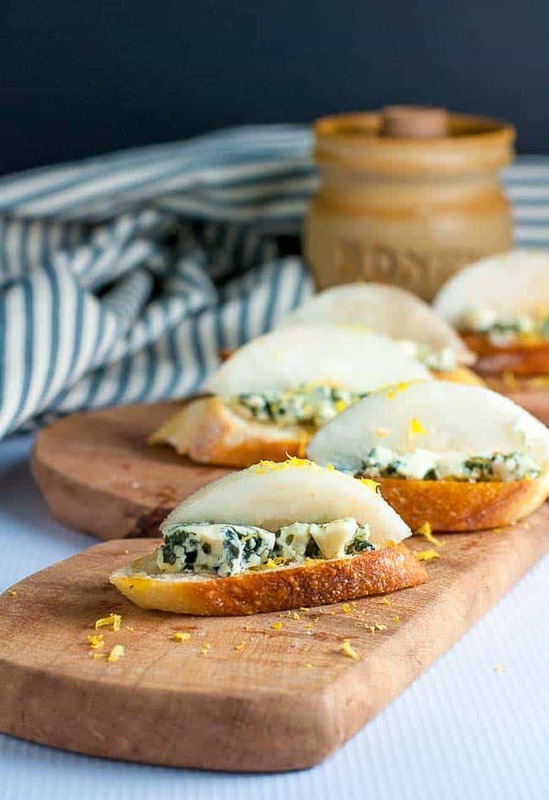 These Blue Cheese Crostini will likely be a hit with your blue cheese fans. 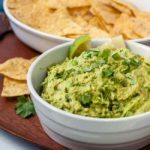 They’re crisp and creamy, sweet and salty, all in one little bite. 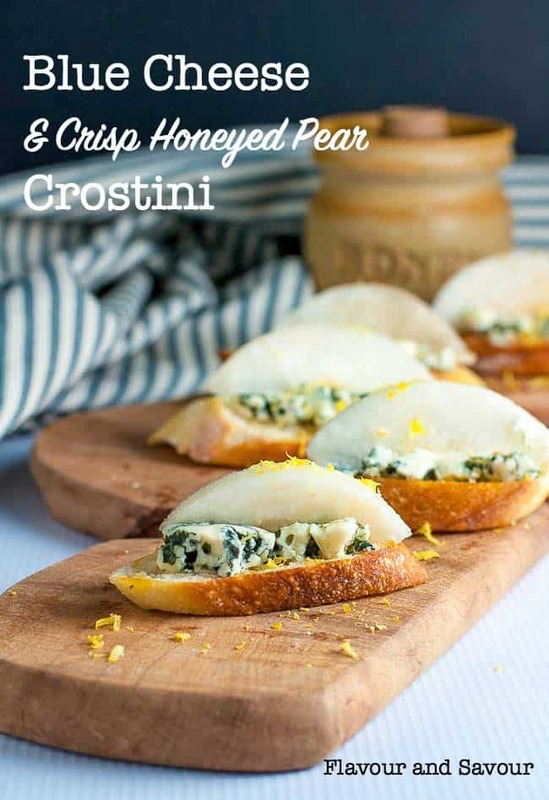 To make perfect crostini, you’ll want to read my 5 Tips for Making Crostini first. 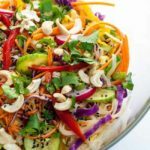 Cut thin slices of baguette (many bakeries now supply gluten-free baguette loaves), brush with a little olive oil and bake for 7 – 8 minutes, turning once half way through. 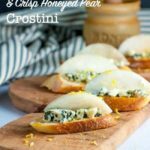 The crostini should be golden brown, crispy on the edges, but still soft and tender in the middle. 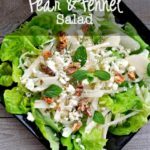 Top with crumbled blue cheese, pressing down slightly so that it doesn’t tumble off, add a thin slice of crisp winter pear or Asian pear, sprinkle with a little freshly grated lemon zest, drizzle with honey and arrange on a serving tray. Guaranteed to be met with enthusiasm! 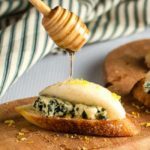 Top thin slices of toasted baguette with creamy blue cheese, a slice of crisp pear, a sprinkle of lemon zest and a drizzle of honey for a last-minute appetizer. Heat oven to 375°F. Slice baguette into 1/2 inch thick slices, brush with olive oil, place on a baking sheet and bake for 7 - 8 minutes, turning once half way through until golden brown, but still tender in the middle. 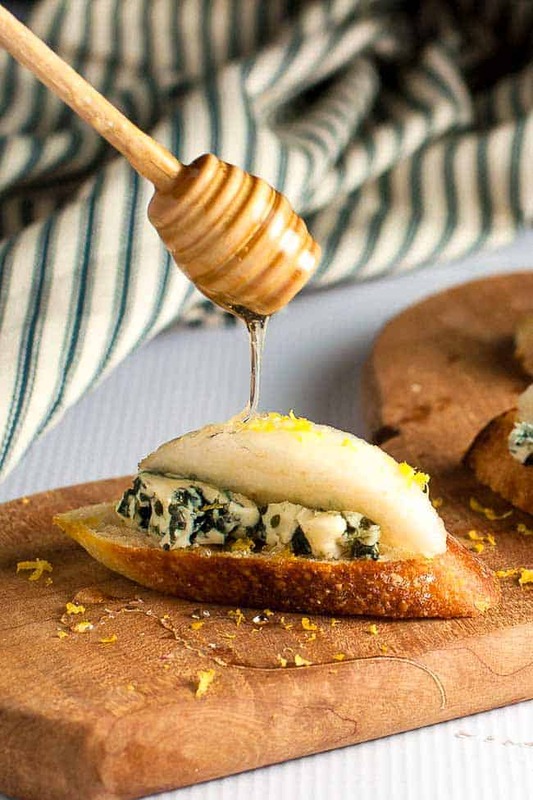 Top each slice with 1 tablespoon of blue cheese, a thin slice of pear, a sprinkle of lemon zest and a drizzle of honey.